Learn how to spot words within other words with our reading game below. Lucy is at the zoo and to pass the time, she’s thinking of words within words. Please register if you intend on using this game. 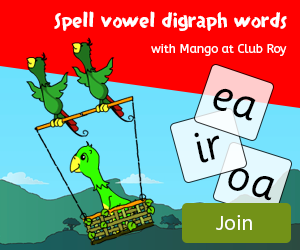 There are lots more reading games like this at Club Roy. 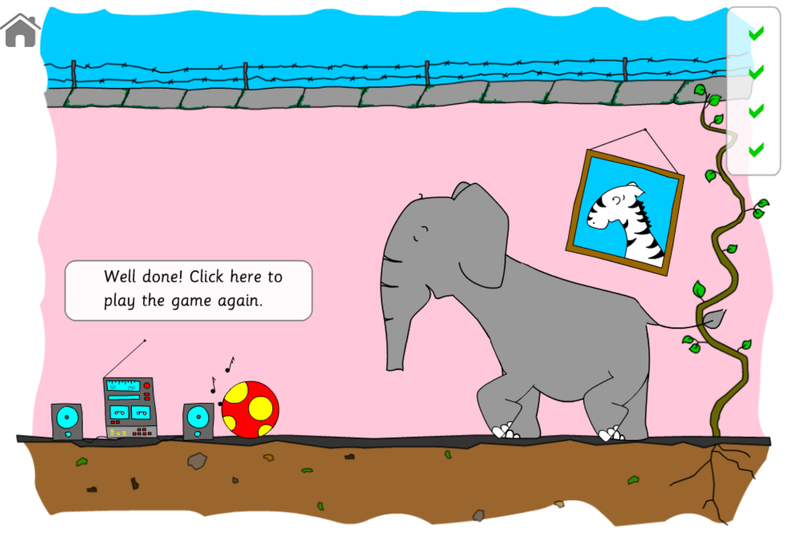 In this reading game Lucy is very bored in her cell at the zoo and to pass the time, she is thinking of words that are within other words. If you can help spot the smaller words within the bigger words then you will be able to give her a present. Once the reading game has loaded read the instructions and then click start. The next screen shows Lucy looking sad in her cell. Read the large word on the top word box, can you see another word inside it? If you can, then drag the letters and drop them on to the dashed line. Once you have finished making the smaller new word the game will be automatically marked. 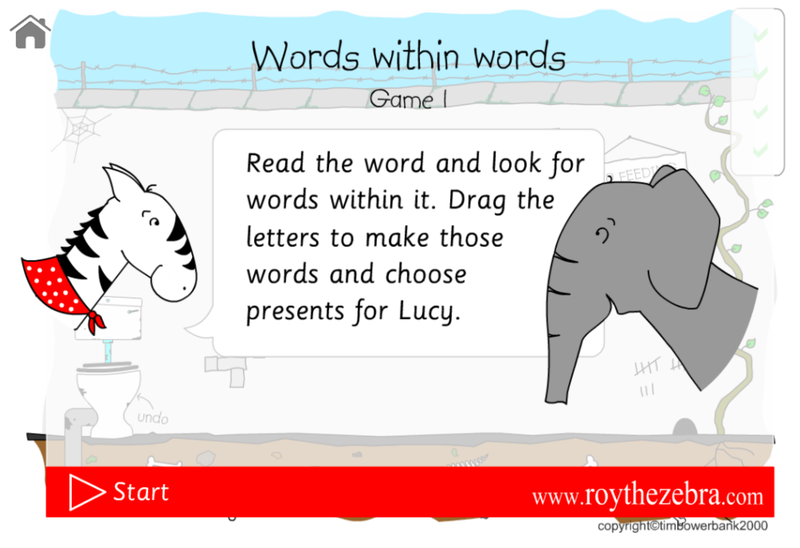 If you have found the smaller word then you will be able to put a present for Lucy into the present box. If you didn't find the word the first time you'll be able to have another go! If you make a mistake during play then you can undo your last answer by clicking the loo in the bottom left-hand corner. To quit the game click the home icon in the top left corner of the screen and it will bring you back to this page. 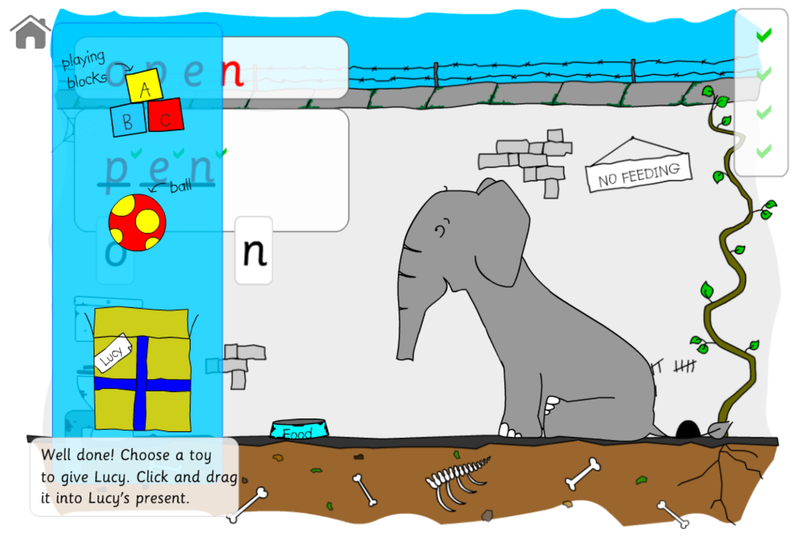 This reading game has an animated Lucy, drag and drop presents, drag and drop letters, sound effects and easy to use interface. Can be played on iPads and Android devices plus normal computers, both Mac and Window machines. Reading game is compatible with the following browsers - Internet Explorer, Safari, Chrome and Firefox. Our favourite browser is Chrome!